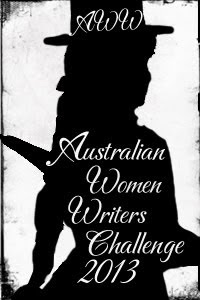 So I thought that I was finished with signing up for reading challenges for this year, but when I spotted the 2013 Australian Women Writers Challenge on the lovely Vegan YA Nerds' blog, I couldn't resist signing up for this one as well. There are four unread Melina Marchetta books sitting on my shelf alone, so this challenge is perfect for ensuring that I get them read. I'd also like to check out more books by Margo Lanagan, and I'm looking forward to the publication of Paula Weston's Shadows in the U. S. this year. If you'd like to participate, just click on the button or the link above!